Sumeria, c.3500 BC, witnessed the birth of the world's very first city by the rich and fertile banks of the Uruk. Over the next four millennia, the social and cultural landscape would change beyond recognition as many of history's most important kingdoms and cities took root. 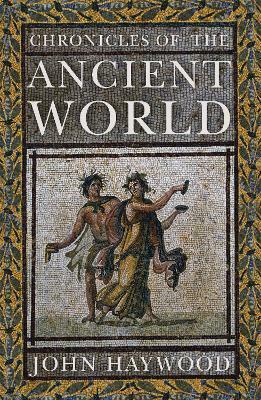 Interweaving Mesopotamian, Egyptian, Persian, Greek and Roman history, this book follows these burgeoning empires over 4,000 years, examining the delicate balance of power as they vied for territory, conquest and glory. From Alexander the Great's 22,000-mile march on Persia to Attila the Hun's plunder of the Roman empire, John Haywood brings the most crucial battles and decisive campaigns to vivid life, and examines the extraordinary cultural achievements of these civilizations - the first written words, the spectacular works of architecture, the growth of democracy and the spread of religions - that changed our world for ever.